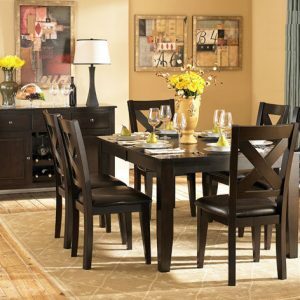 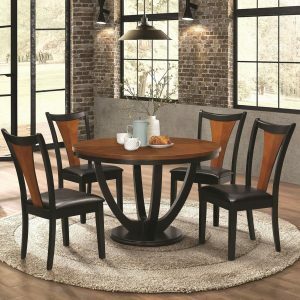 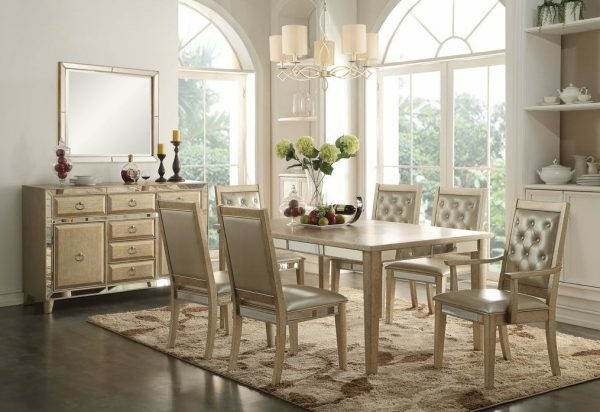 This collection brings you a sophisticated and bright dining area. 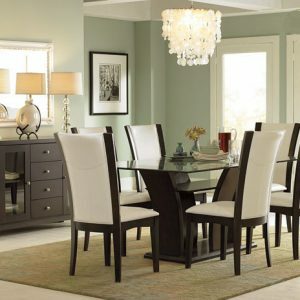 Mirror insert table, chair and server make your room look bigger visually. 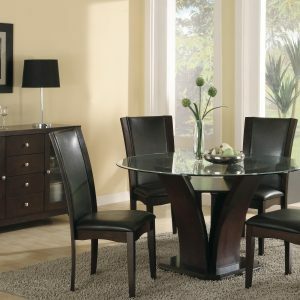 This contemporry style of the Voeville collectionincluding bedroom and dining table set will make a wonderful addition to any home.